With temperatures rising to seasonably warm measures, and bountiful sunlight bathing the ambrosial green carpets that are sheathed with flowering trees and blossoming tulips, Cincinnati is rolling out the customary welcome mat to spring by hosting several events that are well worth attending. 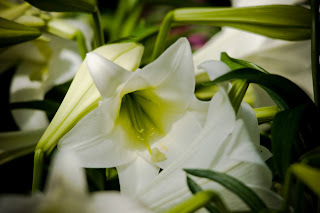 Running until April 12, the Krohn Conservatory is hosting its annual Peaceful Spring Show, where the gardens are overflowing with countless early spring flowers and scented lilies that offer heightened sensual delights. The Conservatory, an Art-Deco relic from 1933, is open from 10 A.M. to 5 P.M. five days a week, and will have extended hours from 7 A.M. to 7 P.M. on Sunday, April 12. Beginning on April 6, the Cincinnati Zoo is hosting its annual Zoo Blooms until April 30 during normal zoo hours, from 9 A.M. to 5 P.M. The Zoo is one of two botanical gardens in the state, and features a colorful palette of more than 80,000 tulips and flora. Also during April is the Tunes and Blooms that is offered every Thursday in April from 6 P.M. to 8:30 P.M. Guests can enjoy great melodic music while strolling the park and taking in the evening daylight. For this season, eight bands will be highlighting this popular event. Finally, the Cincinnati Flower Show is hosting its 20th Anniversary Celebration and annual flower show at Symmes Township Park from April 18 to April 26. The event is generally regarded as an acclaimed flower show that feature numerous, spectacular exhibits, social events, plant and gardener’s markets, a lecture series and more. Get outside and enjoy Cincinnati in the spring!